Following the 2010 earthquake, over 400 deaf individuals and their families settled together in a temporary tent community in the heart of Port-Au-Prince. In 2011, a community development organization, 410 Bridge, began working with the group to establish a permanent community in Leveque, located approximately 45 minutes North of Port-Au-Prince. This settlement, now referred to as the Haiti Deaf Village, is located on land donated by the government. In April of 2013, Buffalo native, Tony Brucato, traded in his vacation time for a 9-day trip to Leveque. Tony currently works as a Job Development Coordinator for WNY Deaf Adult Services. During his stay in Leveque, he used his expertise to advance job development initiatives and lead micro-business workshops for deaf Haitians. 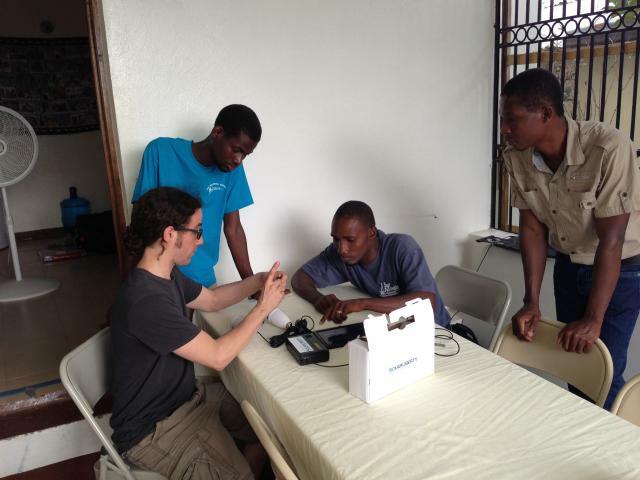 Tony explained that deaf Haitians are very eager to work, but it is difficult for them to find jobs. If one is fortunate enough to secure a position, it is likely that he/she will only be a paid a fraction of what the other employees are making. To ease the village’s strained energy resources, Tony brought four Solar Liberty Foundation solar kits, on behalf of the Foundation, to Leveque. Energy access remains scarce in Haiti, particularly in Leveque. The solar-powered kits power two LED lights and enable individuals to charge electronic devices. 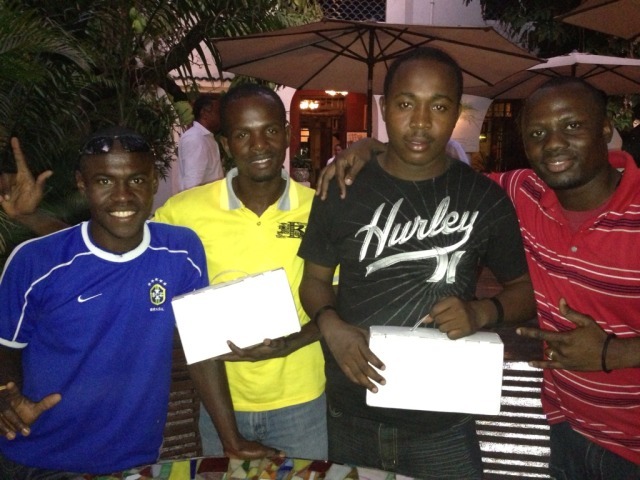 Tony gave two of the kits to the Haitian pastors at Leveque. Because the deaf communicate visually, the solar powered lights have greatly enhanced their quality of life. The pastors are thrilled that they can now hold meetings and continue counseling after the sun has set. The pastors have also used the kits to set-up a cell phone recharging station. Profits derived from this micro-enterprise support their church and community programs. The other two kits were given to the Association des Sourds d’Haiti, or Association of Deaf Haitians. This organization is working diligently to address the major challenges facing deaf Haitians, including limited access to formal education, limited job opportunity and sexual violence against women. The units have also allowed the Association to set up a cell phone recharging business. The profit derived from their new enterprise is directly funding the organization’s mission.